Happy Ides everyone! I love Roman history and Julius Caesar history, so I look forward to this day every single year. I contemplated trying to have all my meals be Caesar related today...not sure if that's going to work. 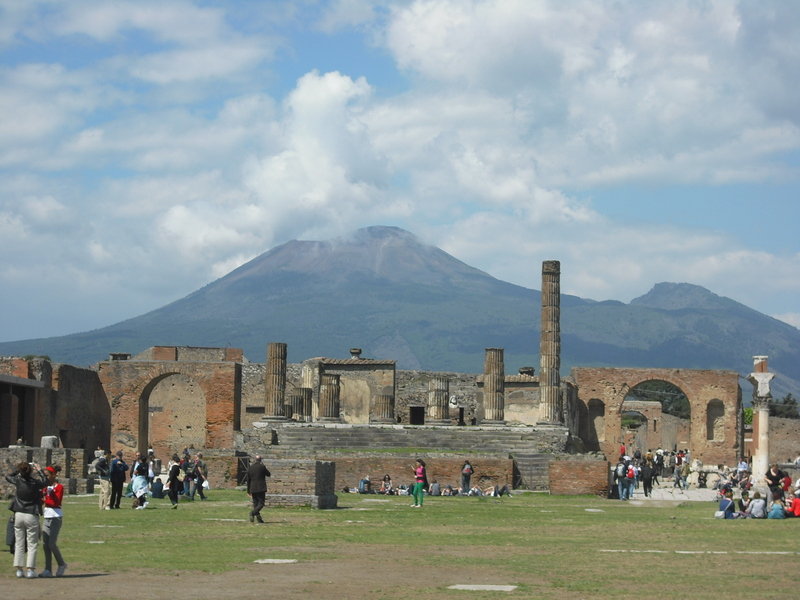 Yes, Caesar defeated Pompeii eventually, and this is one place I have yet to get to in Italy. Despite 2/3 of the city still buried, you can really get a glimpse into what Roman life used to be based on the excavations already done. Located just east of Naples...trains can get you there. There are quite a few flight options available - all of the airline alliances flight to Rome, and depending on your flexibility you can find some pretty good deals. Mid-April flights look around $950 right now, and if you can wait until mid-May there are still a few options from O'Hare to Naples for around $870. If you have miles to use, United has quite a number of flight options through May for saver seats at 55,000 miles, with Business and First options also available upwards of 150,000 miles. I've actually been here! I have a very similar picture. 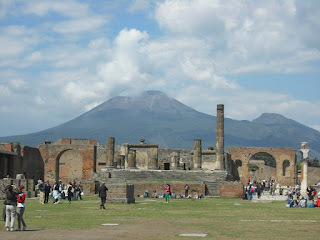 I highly recommend Pompeii, especially to those of you who wanted to be archaeologists when you were young!